Steven Meets the "Real" Thomas! 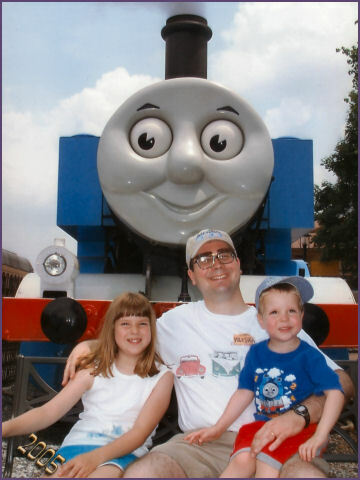 On June 11, 2005, Steven and family traveled to Strasburg PA in Lancaster County to visit with Thomas the Tank Engine! Steven had such a blast that John's parents took him for a second visit the following weekend. 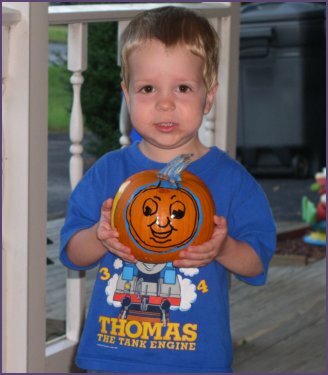 Click here to see the Thomas Photos! On February 5, Steven started Skating Lessons at the Bowie Ice Arena. Click here to see the photos of his first lesson! Check out Steven's Birthday Pics, and share his special day! Hi! 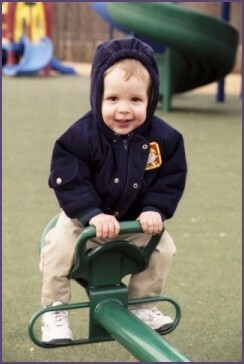 My name is Steven James, and I was born on January 28, 2002. 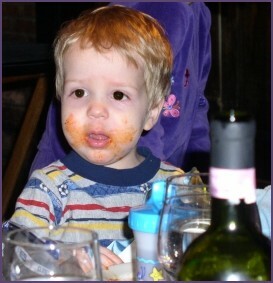 I'm Diana's little brother, and I'm a very busy 2-year-old! Mommy moved all of my website here, and hopes to keep it updated more often! Steven loves trains! He especially adores Thomas the Tank Engine, but when Thomas isn't nearby, a row of blocks on the floor will do! Here he is holding his pumpkin that he painted at the pumpkin patch (with Grandma's help!) -- and his pumpkin looks like... who else? THOMAS! Click the link to read Steven's birth story. The story includes photos of Trish's C-section, so if you think it would be too yucky to see, don't go here!